The first time I saw this dish in Malaysia I thought it was not a good at all but one day I run out of choices and exhausted every Malaysian dish that I liked so I tried this one, surprisingly it was so good. I know the restaurant owner so I asked him what’s the ingredients which also surprised me as it only contains 5 key ingredients which are squid, okra, curry powder, onion and garlic. Since then this is a part of the family menu which we prepare for once in a while. I’m not sure though if this is a pure Malaysian dish as I had seen a hard-core version of this dish which is called Squid and Okra in Sambal, which is a very spicy and hot dish. I guess this dish is prepared for foreigners in Malaysia who are not used to their spicy counterpart. In a pan, heat oil and sauté garlic and onions. Add curry powder and okra, stir fry for 3-5 minutes until okra is half cooked. Add the squid and stir-fry for additional 2 minutes in a very high heat. Add a small amount of water to give moisture, simmer for 1 minute. What a great way to use okra. And while I don’t think I could handle it served in sambal, a touch might be very good. I’m sure I’m going love the flavor of this dish with curry. Looks really delicious. I like okra but don’t see it in a lot of dishes. This looks exceptional! Good stuff – thanks. I believe there are different versions of this dish in Malaysia and a more popular one might be cooked with tamarind like an assam curry. My wife would absolutely love this. I’d eat this in a heartbeat! Yum! I still can’t believe there’s people in the world who hate okra… what the heck? That stuff’s delicious! 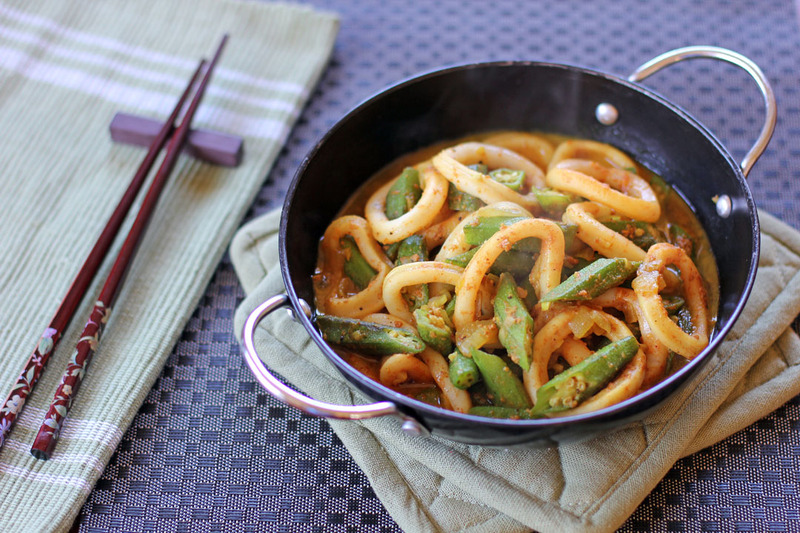 I bet it’s great in this dish, all mixed up with the squid there, nice! So simple ! 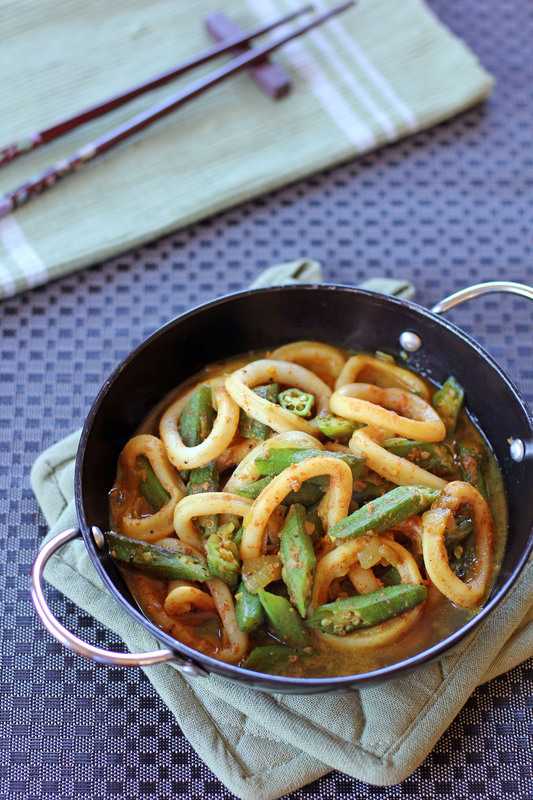 I have to say that i loooove the squid and okra in sambal – it’s so fiery hot and delicious. But this recipe is so dead simple !